Do you get in a mood and have a hard time getting out? Do your moods seem to descend on you for no particular reason? Do your family, coworkers or friends consider you unpredictable? Do you find yourself often brooding for extended periods of time? Funky moods obscure our experience for hours, days, weeks, or even longer. Left unattended, they shape our personalities and determine the quality of our lives. We think that we have no control over our moods but the truth is quite the contrary. We create them with our thoughts and so we can create a different mood or dissolve the one we are in if we choose to do so. 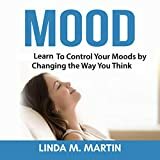 You get in a mood when you have an emotional reaction to a specific event and don't process your sadness, anger, or fear physically and constructively. Here's an example. A client, Joan, considered herself moody and confessed that she could put a negative spin on everything for days at a time. When she came into my office yesterday, she said she currently felt alienated from her partner, keeping her at a distance, and judging her words and actions negatively. Let's take a look at what can be done to change this moody pattern. 1. Trace back in time to identify when the mood began by looking at various past time-frames and determining if you were feeling it then. No matter its magnitude or duration, something upsetting happened that triggered your mood or pervasive feeling. It could have been as simple as an edgy interaction, an intense argument, or change of plans disappointment. Pinpoint the event by asking yourself, "When did I start feeling like this?" or, "When was the last time I remember feeling okay?" Joan asked herself, "How was I feeling three weeks ago when my friends visited from out of town? How about last weekend at the wedding of her college roommate? How about Wednesday evening?" As she checked in about how she felt at various points in time, a light bulb went off in her head. Joan realized her mood started Wednesday morning after her partner made a snide comment about how she never did anything around the house. At the time she didn't say anything, but pulled away emotionally and started feeling distant. Voila. That was the culprit. 2. When you identify exactly when your mood started, process the event emotionally. That means, cry if you feel sad and hurt; move your anger out of your body by pounding, stomping, or pushing against something not of value if you're miffed about her misperception; and shiver if you feel scared, anxious, or afraid. When Joan acknowledged how much it hurt to be judged so harshly, she knew she was on the right track. She also felt angry because she was being unjustly attacked. So she went out to the garage to express her anger physically and naturally. She sat behind the driver's seat, and proceeded to shake the daylights out of the steering wheel until she was truly exhausted. 3. Restore your perspective. When you're in the thick of things, your thinking can become skewed. After you attend to your emotions, you can ask yourself, "What's the larger, objective reality?" Look for a broader view to contradict your myopic feeling. What would a neutral third party say about this situation? Joan thought about it and said the following: "I love my gal. That's how she talks when she's angry and not speaking up about something. I need to not take her unfounded criticism personally, just not respond or get into a war of words. Be the matador and let them go flying by." She wrote these phrases down on a 3x5 card so she could practice repeating them often. 4. Consult your intuition on whether you need to say or do something to resolve the specific, upsetting event. Ask yourself questions such as "What's the high road?" "What will get us feeling connected again?" Get specific. What exactly do you need to communicate? To whom? What points need to be covered and what request for a change do you need to make so that the future will hold more joy, love, and peace? Joan realized that it was not too late to initiate a conversation about her partner's comment. If she just stuck with how hurt and angry she felt, because she really had made an effort to help out around the house for most of the day. Because she wanted to feel more loving towards her, she realized that she needed to speak to her about what happened, being sure that the conversation stuck with just her comment and not bringing in past unresolved grievances. 5. Follow through and you will find that your mood will lift and you'll feel more joy, love, and peace. Get clear about what your best guess is about what you need to do to feel resolved (step #4), and do it. Plan out what you want to say, refrain from blaming and talk about yourself. When Joan talked to her partner after dinner that night, much to her surprise she told her how bothered she had been by what she had said, but decided to pretend she didn't say it rather than apologize. They agreed that in the future they would talk about little upsets without delay. It's easy to fall under the spell of a negative mood but equally easy to change it. If you trace back and find the exact moment that the mood was triggered and deal with just that specific event, it's almost like magic, but better. ©2019 by Jude Bijou, M.A., M.F.T.